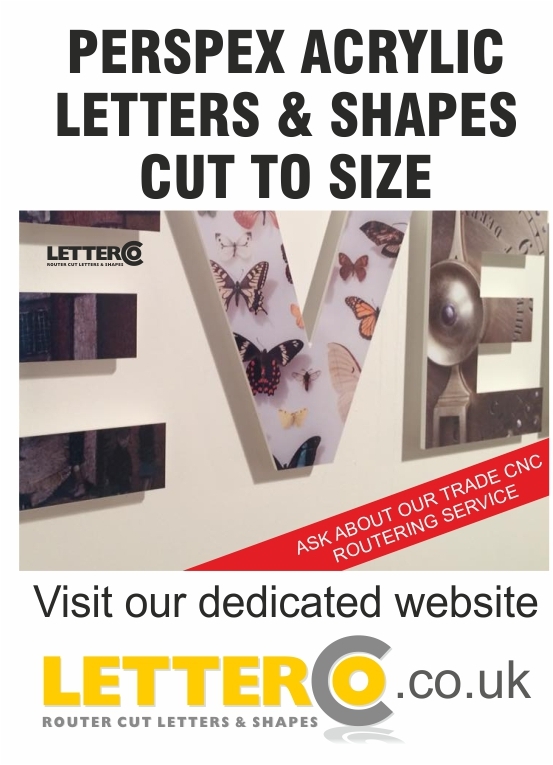 We produce all manner of signs for Shops, Offices & Factories. 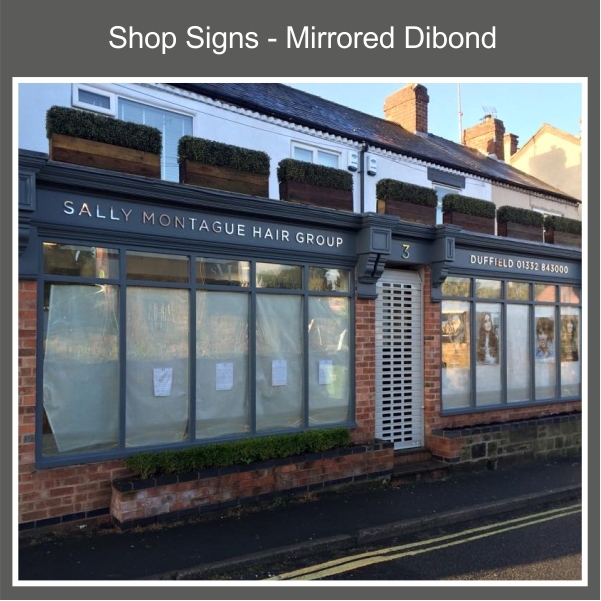 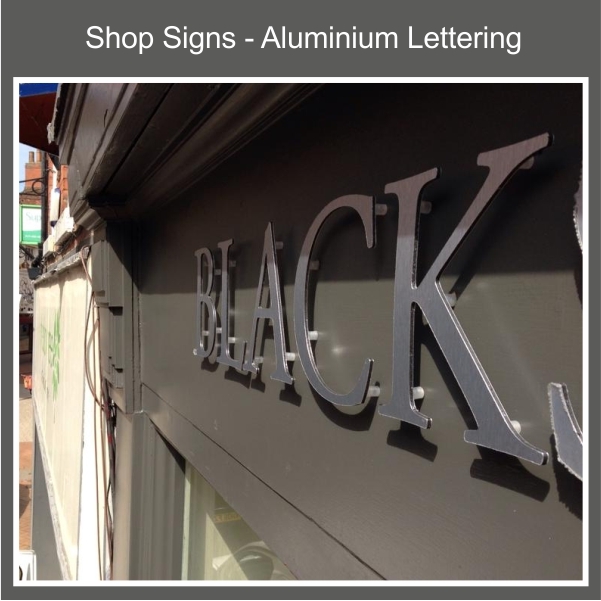 We have a wide range of materials producing different affects for shop Fascias. 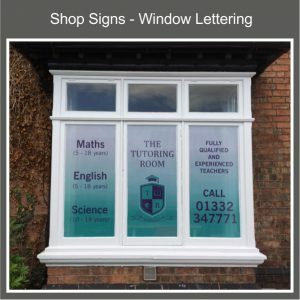 Often they consist of a background panel with Printed Graphics & Photos, Vinyl Lettering, Flat Cut Acrylic Lettering, Built-up Perspex Acrylic or Aluminium and even Mirrored or Specialist Finishes. 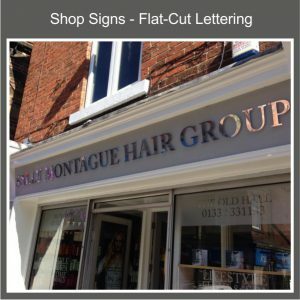 Flat-Cut Perspex Acrylic Letters and Logos can be fitted to the background either directly or on a Stand-off fixing which gives an appearance of hovering above the surface of the sign. 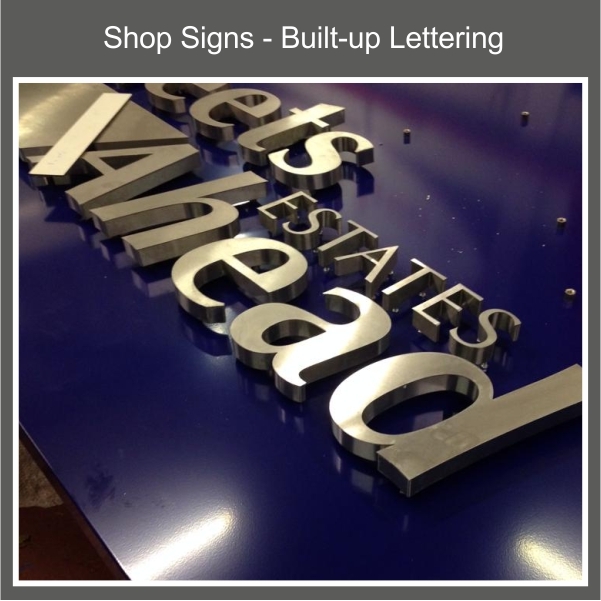 Built-up Acrylic Lettering in contrast, gives a 3D effect with the actual thickness of the letter being a feature. 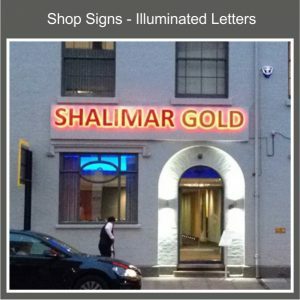 Whilst being relatively expensive, the resultant effect is one of opulence and quality. This type of Lettering and Logos is frequently used on Large Corporate Offices and the like. 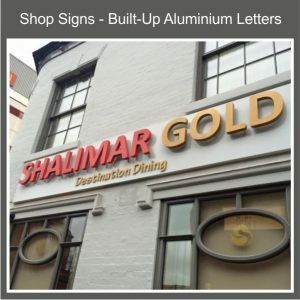 There is also the option to have Built-Up Stainless Steel letters that are truly classy. This material is a much cheaper alternative to Stainless Steel but ultimately does not last as long. 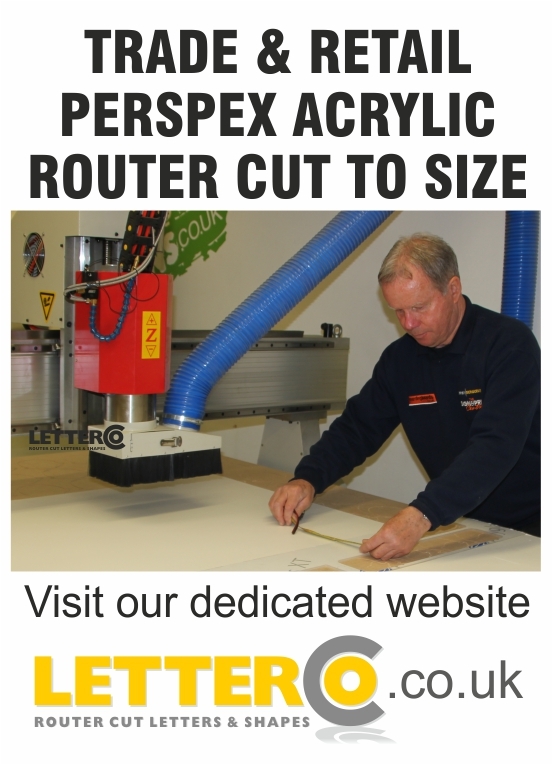 There is also an option to use a “Brushed”, also known as a “Butler” finish. 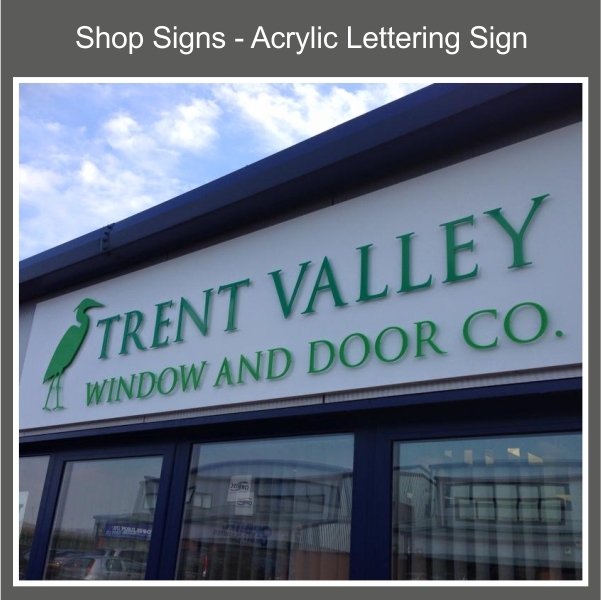 It is still very popular and enables smaller businesses to have a wonderfully expensive looking sign.